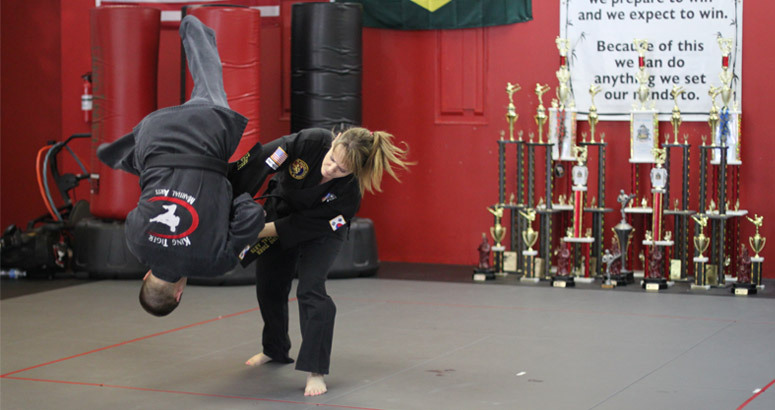 Combat Hapkido is referred to as the “Science of Self-Defense” and its primary focus is Self-Defense. Learn how to defend yourself with practical, easy to learn, safe to practice techniques for the street. Combat Hapkido is an extremely realistic and versatile discipline of self-protection that includes an extensive variety of strikes, kicks, joint locks, pressure points, ground survival and disarming techniques practiced in an environment where safety is the priority. This is NOT a sport based martial art, but a system based on the science of self-defense. An adult class that is ideal for everyone ages 12 and above and PERFECT for all physical fitness levels.